The Australian Council for Educational Research (ACER) is an independent, not-for-profit research organisation established in Australia as a company limited by guarantee. Our mission is to create and promote research-based knowledge, products and services that can be used to improve learning across the lifespan. ACER undertakes commissioned research and development and develops and distributes a wide range of products and services. Any surplus generated through our work is invested in further research and development. professional learning through the provision of postgraduate courses, conferences, seminars and workshops, and customised programs. With 4000 students across 3 faculties, Alphacrucis College is Australia’s largest Protestant affiliated tertiary provider. We partner with churches and industries to achieve bespoke impacts for local communities. The faculty of Education, Arts and Social Sciences offers a wide range of teacher training including Bachelors and Masters degrees, Professional Development, research and the National Institute of Christian Education Courses. Additionally we offer various courses in Theology, Business, Leadership, Music, Chaplaincy, Counselling and Community Services. Aon is a leading global professional services firm providing a broad range of risk, retirement and health solutions. We empower results for our clients by using proprietary data and analytics to deliver insights that reduce volatility and improve performance. In the Education sector, we have developed solutions and consulting support that are designed to help schools build excellence in risk management. Australians Together brings Indigenous and other Australians together by telling stories of our shared history and its impact today, to inspire and equip people to make a difference. We develop Professional Learning and curriculum resources to support teachers to embed Aboriginal and Torres Strait Islander perspectives in culturally appropriate and sensitive ways. All of our resources align with the Australian Curriculum and AITSL Teacher Standard 2.4. Are you looking to strengthen and support connections between families, staff and students within your school community? B2Me for schools is Australia’s most innovative community-based marketplace that replaces the traditional paper-based school business directory. With an easy to use and visually appealing ‘one-click’ digital tool located directly on your website; help parents and students benefit by drawing on the services available within your school community whilst also creating an additional touch point in the broader community. Discover Canberra your National Capital, home of the Australian story, and a range of national cultural institutions and attractions providing education programs that can immerse students in hands on learning in the areas of civics and citizenship, science, history, geography, culture and art. For more than 90 years, Christian Education Publications has been producing biblical school curriculum for use in Australia, New Zealand and beyond. Over the past 20 years, more than 6 million students have used one of our products. We pride ourselves on intellectually stimulating, biblically faithful and pedagogically best-practice resources for the Religious Education classroom. Christian Super is a growing, profit-for-members superannuation fund with 27,000 members and more than $1.4 billion in funds under management, which are ethically invested in line with Christian values. The Fund is also a world leader in impact investing, with 10% of funds within investments that aim to generate both financial returns, and positive social or environmental outcomes. CyberHound, part of the Superloop Group, provides schools with the ability to optimise, secure and manage their internet services. We help students engage in new forms of learning and help staff confidently use digital content and resources without the worry of access, internet performance or internet reliability. For over 19 years CyberHound has developed the most comprehensive behavioural analytics and cybersafety solutions and is now the benchmark for the education sector across Australia. Danthonia Designs is an award-winning designer and manufacturer of signage. We take care of your whole project, from design to installation. We have helped over 1,400 schools across Australia in our 17-year history. We make entry statement, way-finding, building identification and LED signs, and scoreboards. All signs are manufactured in Australia and tested prior to shipment, and our full warranty protects you from service costs. 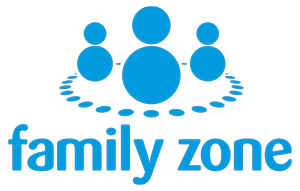 Family Zone delivers a holistic approach to digital safety and wellbeing across your entire school community. Supported by our acclaimed team of cyber experts and engagement specialists, our world-leading digital management tools feature best-in-class filtering and reporting for BYOD and 1:1 devices in any setting, on any network, and across all devices. Currently utilised by over 600 schools across Australia, New Zealand and the US, it’s a unique synthesis of powerful technology with unparalleled expertise and educational enrichment. And it’s your best guarantee of a digital safety solution that will support learning outcomes while ensuring duty of care. Ideal Plastic Concepts is based in WA and is the manufacturer and distributor of the STAGEPAK system. Director Mike Rooney designed the concept while working as an educational administrator because he had a need for handy-sized stage boxes that could be linked in order to create a range of terraced structures in his school. The boxes also solve the age-old storage issue because they can be disassembled and flat packed as required. Interscale is a Melbourne-based, national provider of Information and Communications Technology services. We specialise in the delivery of market-leading services such as: Security, Disaster Recovery and Cloud Services. We also offer Managed Services, Networking, Consulting & Advisory and Procurement Services. We place the value of our partnership with customers ahead of everything else. We do this, as we know that by honouring this commitment our customers will continue to seek our involvement with their IT journey. We’re MSP Photography – Australia’s leading school photography company. Our national footprint consists of 25 local businesses, backed by a national support network. Together we work closely with over 3000 Australian schools throughout the year, providing local, personalised service with a local understanding. Following our philosophy, we aim to make your life easy by skilfully handling the unique printing, promotional and marketing needs of your school, implementing innovative school solutions that extend beyond photo day. NGS Super is a leading superannuation fund for all Australians. We specialise in the non-government education and mutual finance sectors, working with around 9000 employers and managing around $8.8 billion in super savings. NT Christian Schools has been delivering high quality, Christ-centred education in a wide variety of contexts since 1977. NT Christian Schools is a community committed to demonstrating a vibrant biblical faith in every aspect of learning, community life, policy and practice of education. Our mission is to partner with all parents as we equip children to critique and view the world through a gospel lens and to provide all students with a wide range of opportunities through vocational learning, classroom activities and partnerships with key organisations. Paynter Dixon, creating since 1914, delivers master planning, design, construction, remedial and insurance services for building owners and occupiers. With a proud history of unique, quality construction delivered with skill and commitment, many of our customers keep coming back. Our Education team are specialist industry-experienced personnel that are adept at working with clients to deliver quality award-winning buildings that provide care and support to the community for today and the future. As one of Australia’s largest direct debit billing companies, PaySmart and its innovative product SchoolSmart helps schools across Australia ease the administrative burden of fee collection, while also strengthening annual cash flow. With comprehensive debtor management services for schools, at no extra cost and integration with existing school management software – PaySmart’s offering is like no other. If your school is seeking a better, seamless solution for collecting payments and managing cash flow, think SchoolSmart. Positive Action for Christ, is a not-for-profit publishing ministry specializing in Bible curriculum for schools, churches, and home schools. We exist to help the teacher, magnify God to their students. We believe that when students open one of our books, they should find an engaging companion to their Bible, with exercises that reinforce the discipline to explore, understand, and live the gospel of Christ, by the Spirit’s grace. Profurn Commercial is a fully owned Australian company specialising in the supply and installation of fixed and retractable/telescopic seating for auditoria of all types, including Lecture Theatres, Stadiums, Cinemas, Performing Arts and Multi-Purpose Halls. The range includes not only a choice of design for each application but also a range of finishes to suit varying price points and preferences. Apart from our highly resolved family of ergonomic products, which have been proven in many installations around the globe, we are also able to offer a fully customised design service. This allows our customers the option to design individual products to suit their business needs. One platform, infinite possibilities. Introducing Sentral – a cloud-based school management platform founded in 1998 by members of the education sector. With an easy to use interface, Sentral has simplified school management processes for over 3,000 Australians schools. With less time spent on paperwork, these schools are left to focus on what really matters – providing leading education outcomes for their students. From administration to attendance, wellbeing to assessments, Sentral has you covered. Founded in 2006, SEQTA Software is the innovative company behind the multi-award-winning SEQTA Suite; an intuitive and comprehensive teaching and learning management software system that truly empowers teachers to complete their work in the most effective and efficient way possible. SEQTA’s intrinsic, natural feel separates it from any other teaching and learning software solution available. That’s why more than 465 schools throughout Australia and South East Asia choose SEQTA. Silver Fleece is a local Australian owned knitwear and manufacturing company over 60 years young. We supply bespoke uniforms to schools and colleges throughout Australia from our factory in Adelaide. Silver Fleece garments are made for you using the best quality yarns all with OEKO-TEX Confidence in Textiles certification. Our order minimums are small and we have fast delivery turnaround. We consider the environment and source ecologically responsible wool fibres from Australian farmers. We can package your garments without using plastic. Our technicians and machinists all work on site, in our factory which ensures we supply our customers with the quality and consistency required in a uniform item. SolarBuddy’s school program combines learning and education with practical solutions to an urgent problem. It has been specifically designed to help students learn about energy poverty and its limitations, the science of renewable energy, and how a simple solution – like a solar light – can make a big difference As part of their Science, Technology, Engineering and Maths (STEM) studies, students assemble a solar light and write a personal letter to a students living in communities impacted by energy poverty. A crucial attribute of a financially sustainable school is the use of ratio/benchmarking analysis. For 25 years Somerset Education has operated a financial benchmarking survey of almost 700 schools representing more than 70% of enrolments in independent schools, with 98% of participants rating the survey good to excellent and 100% recommending it to others. Our passion is to help schools make informed operational, infrastructure and borrowing decisions, respond to changing circumstances and govern with confidence. With over 500 content modules comprising stories, poems, puzzles and videos, Ziptales makes reading fun. The content ranges from Preschool to Year 6. There are voice-overs on all modules, animations, and interactive quizzes after all stories, plus over 1000 photocopiable black line masters. The website is fully aligned to the National Curriculum English and the International Baccalaureate PYP. There is also a bank of over 200 mini lessons teaching the key skills of English.